Those of you that have met the team know that we like to meet our customers as much as we can. 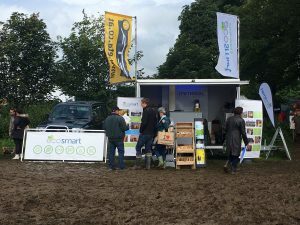 Once again, Ecosmart are heading out on the road. August sees us out and about locally, but at some great events. Given our keen environmental stance, country shows fit very well with what we do and we’re at two of the biggest. We’ve carried out a lot of work in the local area and, with that in mind, we thought you might want to come along and see us, as well as having a great day out. First up, in the 8th August, is the Ashover Show. 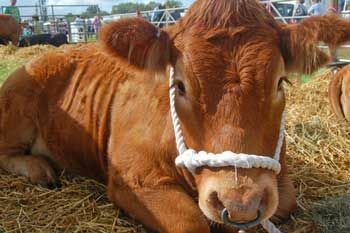 This is one of the best attended Agricultural Shows in Derbyshire and we’re always keen to pay a visit. Please come and see us and we can have a conversation about how we can help you, whether it’s Biomass, Heat Pumps or even Solar PV. Once you’ve been to talk to us, there’s lots more to see, including the usual livestock attractions and equestrian events, so it promises to be a good day. The Chatsworth Country Fair is traditionally one of the UK’s biggest end of summer events. It’s the culmination of a lot of hard work for folk around the county and beyond, with huge visitor numbers over the three days. The fair runs from 31 August to 2nd September and brings together the very best of everything the country shows have to offer. No to be outdone, Ecosmart will be pulling out all the stops and will have a full display on show. The team will be on site for all 3 days and will be able to advise on our whole portfolio of solutions. We are proud to give something back to Chatsworth as we work with them all year round managing their energy needs. 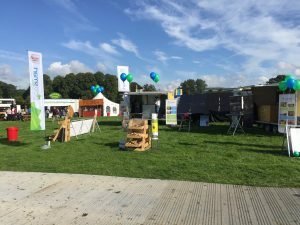 We’re not just available at the shows, if you need anything before then, please give us a call on 01246211037 or email us at info@ecosmart-energy.co.uk. Even if it’s just advice, we’re only too happy to help.